November 16, is a very important date in my life. A birthday of two people who matter a lot in my life, My Mom and My Blog. It was a mere coincidence that I started blogging on the same day as my mom’s birthday. And now it’s been 200 Posts and 4 years since I started blogging. At an average of 50 posts a year, I almost managed a post a week on an average basis. This has been one long journey with loads of up and downs, a lot of writers blocks, lazy times, National Blog Posting Month Blogathon, Awards, mentions and more. Bogging used to be very different when I started on November 16, 2005, It actually took me hours to come up with the name Ginger & Cardamom (more about it later in the post). Though somehow none of my real life friends were much into blogging and were hardly interested in what I wrote. But I made new friends and connected with a lot of people through blogs, and I have seen a lot during these 4 years. A lot of blogs dying over the years and that too of some people who I thought were better writers than I was. Somehow they didn’t survived in this world and I still pity for those dead blogs and I am so grateful to the almighty that I did survive. There were a lot of times when I felt letting it go but somehow I stick to it and glad that I did. So on the fourth birthday of Ginger & Cardamom, I have decided to share with all of you the story of how I named my blog. I was always an obsessive competitor by nature, especially more when I was a kid (you know something like Monica Geller in Friends). So I had this need to be acknowledged as the best or the winner every time. So when we were kids me and my cousin Ekta used to come to stay at my place. We were both small studying in 4th and 5th standards. She had recently learned how to make tea, and would do it for elders in the house and was appreciated a lot for that. Me being the snob I am couldn’t digest it too much, so I learned making tea too, to get into the competition. Now we took turns in making tea and the idea was who makes the better tea. Now I took a great lead by discovering two secret ingredients (I don’t remember from where may be heard two elders talking or something) that made my tea near perfect. I would crush a few cut pieces of ginger & mash it with a couple of cardamoms and add to the water while boiling for the tea. I know this is not something rocket science but for 10 years old it wasn’t exactly expected to be known and my tea was always better until Ekta discovered the art. But somehow the pieces of Ginger & Cardamom actually added spice & aroma to my life as a kid. Though I don’t consume tea at all and do not prefer pieced/shredded ginger in my food but the still the pieces of Ginger & Cardamom mattered to me, for it was a part of my childhood, my eccentricities and more than that it was a lesson that sometimes small things like pieces of Ginger & Cardamom add all the spice and zing needed to the tea and your life. Since that day, have loved the Ginger & Cardamom the spice & aroma of my own life. Hope the Ginger & Cardamom of our lives never die. And that’s a nice reason behind the name of your blog!!! @Smita: Thanks a lot. I hope I do maintain this blog till my end of my life. @Monika: Thanks. Yes that’s so true, the blog’s actually become the part of our lives as if they are a real person, someone from the family. On hindsight I sometimes think that I could/should have started early. Happy birthday to your Mum and to your blog! Congrats on your fourth b’day! Awesome! May it go places, and become more popular than ever! Hope the blogger newbies are reading this; Prats has been there, Done that! Congrats and Happy Birthday to your Mom !!!! what a post to land up on the first time I have arrived on ur blog. has me hooked already! @Chandni: Thanks a lot and welcome to Ginger & Cardamom hope to see you here more often. Keep it up.. Hope u will cross all the boundaries in blogging..
Oh, the bestest of wishes to your blog and your mom! 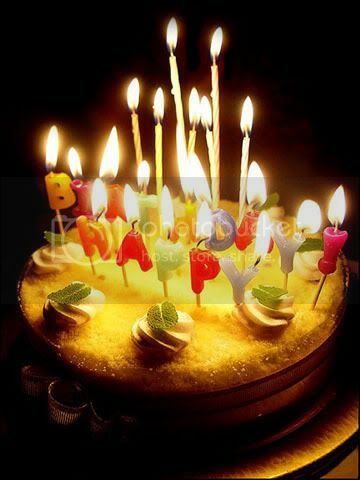 @Neha: Thanks a lot for your wishes. Belated birthday wishes to ur mom and blog, It was my bday too -yesterday 🙂 200 posts in 4 years! no cake walk! hats off brother! congradulations on ur mile stone! keep writing! @Sri: Thanks a lot bro. Hi everyone, im new to the world of blogging. I used to write a lot few years back as the Editor of my school magazine but somehow lost it overtime. Now I’m trying to get back to it. $ years of blogging looks like an achievement to me. I’ve only been there 2 months! G&C i hope you continue to be blessed with the art of writing and many many more years of successful blogging to u! @Life’s Like That: There is nothing new or Old in blogging. Every post is a new post, its a journey to be relished. So what you have started yours enjoy every moment of it. This is a nice post. Congratulations and happy birthday to your blog and your mom. The ‘behind the scenes’ of the name is so good. I love tea with ginger and cardomom. And ofcourse, I need it extra shot when it comes to life. P.S. I have a tea story too. But I don’t want to become ‘queen of long comments’. LOL. @Sue Gir: Thanks. Share it in another comments or better still post on your blog. We all love tea and coffee stories, don’t we? Congrats!! I have always loved the blog name! Spicy! 🙂 Best wishes for many such blogoversaries ! I am glad I discovered your blog .. love it. the aroma lingers on. Although I do not comment much ..lazy that I am .. I visit often and read which is important. @Tikuli: Thanks a lot. Coming from a person whose writings I greatly admire, I think his is much of compliment that my writings could hold ur interest.